There is a discussion as to whether the future of Quality will progress along an Evolutionary or Revolutionary path. This will show how Quality has evolved from its origins to is present form. One observation I would like to share is the convergence of practices into a single collection of knowledge. ASQ has compiled a QBok (Quality Body of Knowledge) from which practitioners can draw and apply their expertise to help companies achieve new levels of performance, quality, cost, delivery, and assurance. 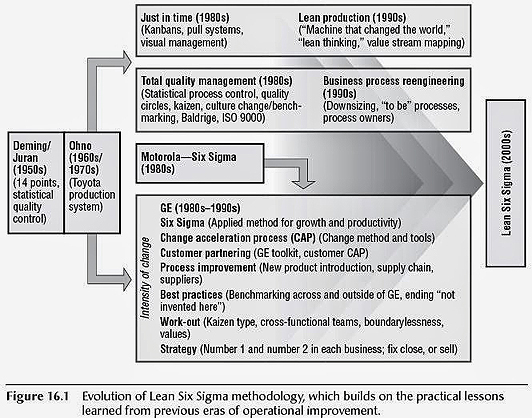 This convergence is evident in the Lean Six Sigma domain. In the recent (2009) ASQ Press publication, The Public Health Quality Improvement Handbook by Ron Bialek, Grace Duffy, and John Moran, there is an excellent visual display showing how what we call Lean Six Sigma evolved from various influences. This document reflects a convergence of practices into a common category. This viewpoint is corroborated in similar peer-reviewed publications. Juran is cited as one of the early influences of the Quality profession. The prolific and pertinent contributions from Juran have been a cornerstone of our profession, and predated the concepts of both Lean and Six Sigma. 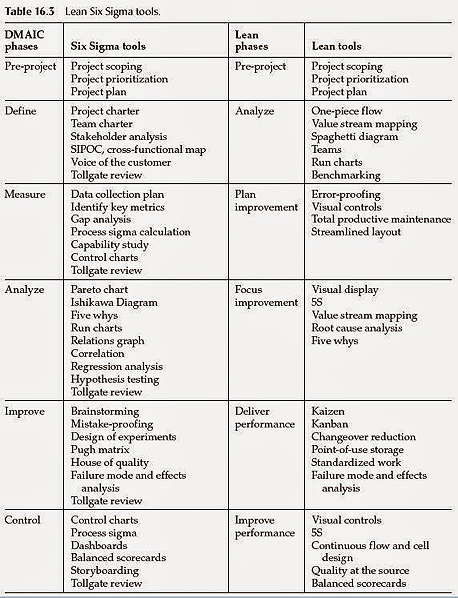 The passage below is from page 748 of Juran’s Quality Handbook, 6th Edition, and expresses the high-level distinctions between what we term as Lean and Six Sigma. This reference aligns with the diagram above. The Public Health Quality Improvement Handbook elaborates on the distinctions between Lean and Six Sigma, both in text and visually. 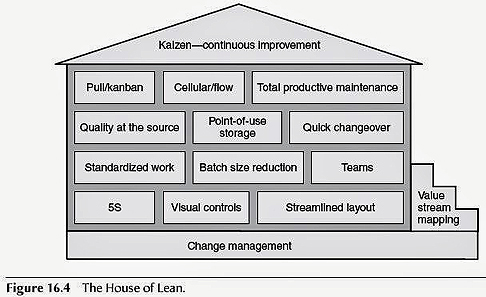 The “House of Lean” captures the key practices and characteristics of Lean, and also establishes the scope and limitations of Lean as a singular approach. For overall improvement, Lean is not the sole solution, but one of several practices recommended by the authors. 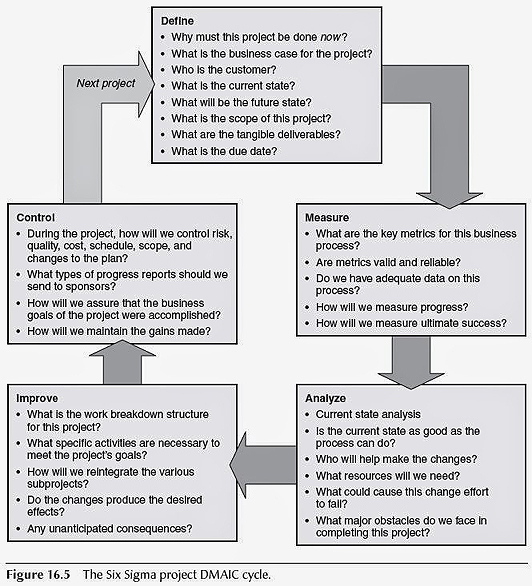 More complex improvement initiative require the thoughtful and deliberate diagnostic approaches reflective of a Six Sigma project, as shown in the image of the Define-Measure-Analyze-Improve-Control cycle. 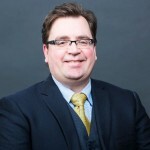 One particular question within the Improve category (What specific activities are necessary to meet the project’s goals) channel directly into the proven, tactical Lean techniques and practices. In this way, Six Sigma and Lean are not conflicting, but complementary and synergistic activities that when conjoined, enhance and expand their respective effectiveness. By having a unified Body of Knowledge, the respective advantages of Lean and Six Sigma can be combined. Rather than mutually exclusive “either/or” scenarios, the Quality practitioner can select and apply the most appropriate and relevant practices to fit the situation and serve the best interests of the client or organization. Many of the practices listed in the table above are common (i.e. failure mode and effects analysis, run charts, five whys method) or use common methods (i.e. brainstorming, kaizen). If this is reflective of the overall Quality profession, then it shows that over time, Quality will continue to evolve to incorporate more complementary practices, thus becoming more robust, relevant, and capable of serving our constituents. This entry was posted in All, Planning for Quality and tagged process improvement, software testing. Bookmark the permalink.